Back in the day, free samples used to be just the food samples in the grocery stores. Nowadays, the internet is home to so many free samples. How else could a company get that many people interested in their products? They can’t just randomly mail samples to people and it would be unrealistic for a toothpaste company to set up a table and give out samples in your local grocery store. I have never realized before how much of an effect the internet has on the business world. Not only are companies able to give out free samples and coupons (to many willing people! ), they are able to advertise this way. With one site they can reach anyone in the world. That is impossible to do with television or snail mail. On the companies’ websites you can contact them directly, eliminating the need to make a phone call. When you give a company your email address, through ordering a free sample or just to sign up for their newsletters, they are able to contact all of these interested people at once just by clicking the “send” button. Many of the companies also have their own pages on Facebook. On the wall, people can give the companies suggestions, voice their good and bad opinions, and even meet with other people that share your opinion. And when you “like’ a page on Facebook your friends can see and then they might “like” it too! Facebook allows the companies to connect to the crowd with just one click. 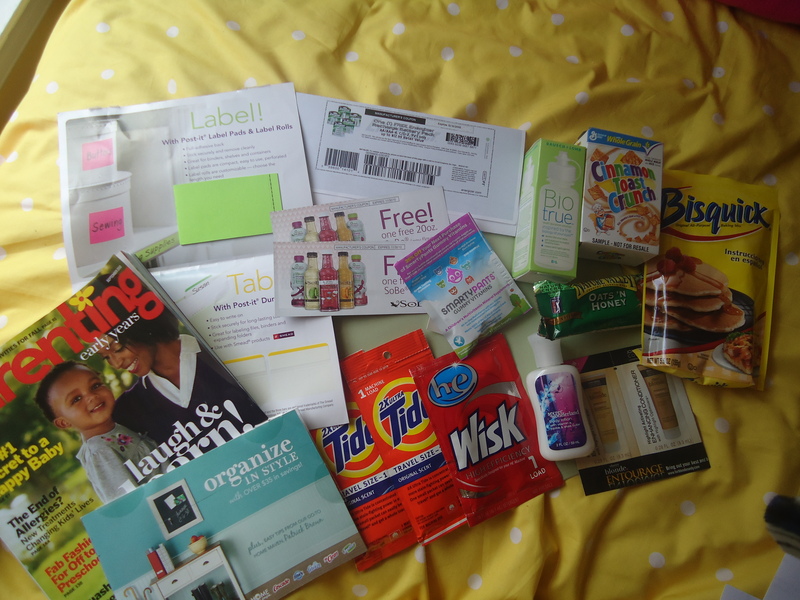 You already know how much I love free samples, almost as much as I love the internet! It’s a good thing we have the internet or we would be missing out on so much! Companies would also be missing out! Many people use their websites to see information on their products and find coupons to use. If the internet wasn’t here, it would be much, much harder for companies to advertise and connect to people. Here are some freebies you can try, thanks to our lovely internet! https://savvywifehappylife.com/wp-content/uploads/2016/09/SavvyWifeHappyLife-logo-2.png 0 0 Brandi https://savvywifehappylife.com/wp-content/uploads/2016/09/SavvyWifeHappyLife-logo-2.png Brandi2010-10-24 10:28:432010-11-11 14:38:59No internet, no freebies?! Starbucks App for iPod, iPhone and BlackBerry! How do you think most college students make up for their lack of sleep? Coffee, of course! And where do you think the majority of them go to get their coffee fix? Starbucks! With multiple locations on and near campus, Starbucks is always at hand. There’s an awesome app available for iPods, iPhones, and the BlackBerry to help you the next time you go to get your coffee. The app is called “Starbucks Card Mobile” and is free. After you create an account you have the option to upload all of your Starbucks gift cards. This was very helpful for me because the wristlet I carry around does not have room for all those gift cards! When you go to Starbucks and place your order, instead of handing them a gift card you simply hold up your iPod/iPhone when you are on the gift card part of the app. There will be a barcode that the cashier can scan, along with a total of how much you have left of gift cards. There are bonuses for using this app. Not only is it convenient, but you don’t have to worry about losing all your gift cards. There is also a “Starbucks Club” when you make an account. For your birthday, you will receive a free drink and every time you make a purchase it’s recorded. Certain number of purchases gets you to certain levels. Each level has bonuses, and the higher the level, the better the bonuses. For instance, after 5 purchases you get complimentary syrups and milk options in your drink, free refills on coffee and tea, and free beverage with a whole bean purchase. At the last level, (after 30 purchases) you get a free drink every 15 drinks, a special Gold Card, and special offers and coupons. All of this is in the palm of your hands; it is so easy! You can check out all the details about a Starbucks account here. https://savvywifehappylife.com/wp-content/uploads/2016/09/SavvyWifeHappyLife-logo-2.png 0 0 Brandi https://savvywifehappylife.com/wp-content/uploads/2016/09/SavvyWifeHappyLife-logo-2.png Brandi2010-10-17 23:50:532010-10-31 21:12:46Starbucks App for iPod, iPhone and BlackBerry! Cute Necklaces for $12 today! Just a few days ago I posted about using Groupon.com (make an account here first). Today, if you go to the Groupon for Long Island you can buy a $25 gift card for LoveStamped.com for only $12. This makes any of these personalized and homemade necklaces only $12 (shipping is free!) These make great gifts! https://savvywifehappylife.com/wp-content/uploads/2016/09/SavvyWifeHappyLife-logo-2.png 0 0 Brandi https://savvywifehappylife.com/wp-content/uploads/2016/09/SavvyWifeHappyLife-logo-2.png Brandi2010-10-12 15:12:232010-10-12 15:12:23Cute Necklaces for $12 today! This week I am going to introduce you to a new site that I have just started using a few months ago that I love! Groupon.com is a website where you can buy gift cards to various stores, restaurants, and sites at a very discounted price! Gift cards are at least 50% off but are usually much more! I recently bought one for 75% off. You can search gift cards by location. Searching Baltimore will get you stores and restaurants in our area, but you can buy from any location if you want. If the gift card is from Los Angeles and for an online store, then you can buy and use it with no problem still. Groupon is a contraction of “group coupon”. 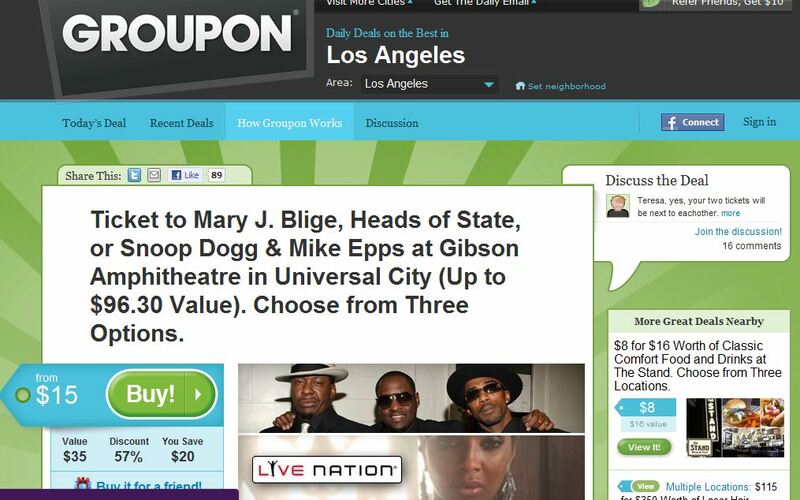 For these great deals to be possible every single day a minimum number of people must buy the “groupon”. If the minimum is not met then the people who bought it already will be returned their money but typically that is never a problem. When deciding whether to purchase the groupon you can read comments and ratings of the place or site written by other users. When you create an account on Groupon.com, you have really created yourself a little profile on their site, picture and all. You can also connect via Facebook so your friends can see what you are up to. Then you are able to like the groupons to see which ones are really popular. You can also tweet them using the button above the deal. People are able to share their good and bad experiences to anyone that is considering buying a groupon to these places. https://i1.wp.com/savvywifehappylife.com/wp-content/uploads/2010/10/groupon-picture.jpg?fit=1015%2C634&ssl=1 634 1015 Brandi https://savvywifehappylife.com/wp-content/uploads/2016/09/SavvyWifeHappyLife-logo-2.png Brandi2010-10-10 22:28:592011-01-13 10:05:59Sign up for Groupon! The next time you are about to place your online shopping order, head over to retailmenot.com. This site provides coupon codes that you can use on your purchases to many online stores. All you need to do is type in the store’s URL in the search box. You will then get (hopefully!) quite a few codes to choose from to use on your order. Many will be for taking a percentage off your total, taking, say $10 off a purchase of $50, or maybe even free shipping! All you need to do is copy the code into the area on the site that asks for a coupon code. You can typically find the coupon code box during checkout. I would definitely recommend using this site to score some free Cinna Stix from Domino’s Pizza the next time you make an online order! When you search for your store you will see many codes listed, along with a description on how and when to use the code. These codes are posted by users for all to use. So popular stores often have a lot of coupon codes. Users, like you, can then rate or comment on the codes that people post. If it works for you, and many other people, the code will get a higher rating and be pushed up to the top of the list. Codes that don’t work or are fake are all the way at the bottom. You don’t have to worry about a code working if its’ success rate is very high and there are many positive comments! This site acts like a forum or message board where people are able to share helpful information to many other people! Hopefully you find this site useful! https://savvywifehappylife.com/wp-content/uploads/2016/09/SavvyWifeHappyLife-logo-2.png 0 0 Brandi https://savvywifehappylife.com/wp-content/uploads/2016/09/SavvyWifeHappyLife-logo-2.png Brandi2010-10-03 23:03:562010-10-03 23:03:56Try RetailMeNot.com!